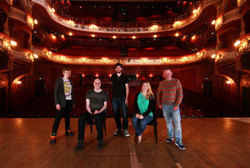 Six amateur actors from West Yorkshire have been cast in the Royal Shakespeare Company’s forthcoming production of A Midsummer Night’s Dream. Part of the Leeds Arts Centre, they will play the roles of the ‘Mechanicals’ when the production visits The Alhambra Theatre, Bradford between Tuesday 12 – Saturday 16 April 2016. 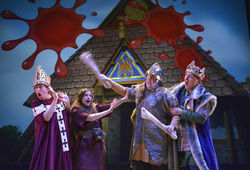 Thousands of years after the ruthless Romans, savage Saxons and vicious Vikings stormed ashore on the coast of Britain and the gruesome Greeks competed in the first ever Olympic Games, you can relive those horribly exciting times in Birmingham Stage Company’s brand new Horrible Histories stage shows coming to the Alhambra Theatre from Tuesday 30 June to Saturday 4 July. GET READY BRADFORD FOR THE TIME OF YOUR OF YOUR LIFE! Following a phenomenal 2014 tour and sell-out runs at both the Edinburgh International Festival and London’s Sadler’s Wells, INALA brings together four time Grammy Award-winning South African choral legends, Ladysmith Black Mambazo and multi-award winning chorographer Mark Baldwin, in this unique artistic collaboration for a creatively reworked production. INALA arrives at The Alhambra Theatre, Bradford this June. David Ian Productions and the Ambassador Theatre Group are delighted to announce that JASON DONOVAN will play the role of ‘Tick’ in the international smash hit musical Priscilla Queen of the Desert at the Alhambra Theatre, Bradford this autumn. 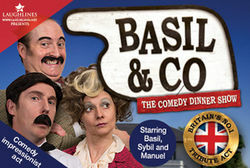 Performed in Restaurant 1914, Basil & Co - The Dinner Show on Friday 19 June and Del Boy & Co - The Dinner Show on Saturday 20 June will provide a perfect night of interactive comedy as well as a great meal. 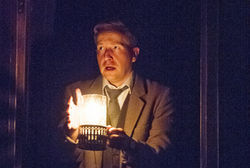 Celebrating its 25th anniversary in the West End, the unanimously acclaimed stage production of THE WOMAN IN BLACK returns to the Alhambra Theatre from Monday 25 May for one week only. The mind-bending maestro is back in Bradford with ‘miraculous’ new show! The multi-award winning acknowledged master of psychological illusion returns to the Alhambra Theatre, Bradford with a brand new one-man show – DERREN BROWN: MIRACLE. 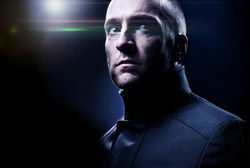 This promises to be Derren’s most ambitious show to date, although the content of the show remains shrouded in mystery. International theatre producer David Knight presents the UK premiere tour of Judy – The Songbook of Judy Garland starring Lorna Luft, Ray Quinn and Louise Dearman. This breathtaking new musical show sweeps into the Alhambra Theatre, Bradford for two nights only from Monday 18 May 2015. 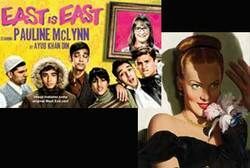 This autumn Bradford Theatres present two outstanding dramas at the Alhambra Theatre, with Ayub Khan Din’s East is East and Daphne du Maurier’s Rebecca presented by the internationally acclaimed Kneehigh Theatre.